Current settings of the white search form on top: check for luxury and premium cars at the 'Timisoara - Airport' rental location. Address: Timisoara International Airport, Timisoara, Timisoara, Romania. 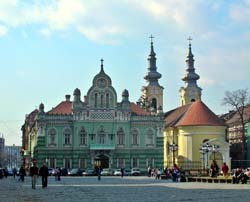 OrangeSmile.com offers 2 rental locations in Timisoara for your choice. - Use the map of Timisoara on the left. General information. OrangeSmile.com offers premium class vehicles and limousines with best rate guarantee. Having a wide choice of rental providers in Timisoara, we show you the most beneficial offers on the fly, based on your search criteria. The most typical car models in the luxury and premium segments in Timisoara are: BMW X3, BMW X5, Mercedes SLK, Mercedes C Class, Mercedes E Class and Lexus ES. A vital characteristic of all limousine offers in Romania is a high insurance deposit (franchise). Please read the rental conditions of a selected model prior to your booking. In addition, for a luxury saloon rental offices in Timisoara may request information about two credit cards. It will also be indicated in your rental conditions. At puck-up time in the office, do not forget to verify the given papers and compare them with your voucher. Sometimes, rental offices in Romania try to add optional services without notifying customers. We wish you safe driving around Romania! In Romania, you can use radar detectors. There are no penalties about them in the country. However, drivers should not forget that many police cars are equipped with modern laser radar equipment, so not all radar detectors can identify them. The use of anti-radar equipment is prohibited, and the offender is likely to receive a huge fine. Of course, the prohibited device will be immediately confiscated. Speeding remains the most frequently issued fine. Police patrols are often on duty in very secluded areas along roadsides, so it is almost impossible to notice them. If you’ve got a fine, it is recommended to pay it off within first two days because, in this case, you can count on a 50% discount. Romania is famous for high-quality fuel. Local petrol stations usually sell unleaded petrol (95 and 98), as well as diesel fuel. The cost of fuel is quite high and is approximately 1.5 euro per liter, but high price is compensated by good quality. One of the oldest and most picturesque cities of the country, Timisoara was founded in the beginning of the 13th century. The city is named after the river Timis, on the banks of which have appeared first settlements. Some people call this city "a little Vienna" because of the large number of old buildings in the Baroque style. Expressive architecture, rich history and excellent infrastructure make Timisoara truly attractive to travelers. 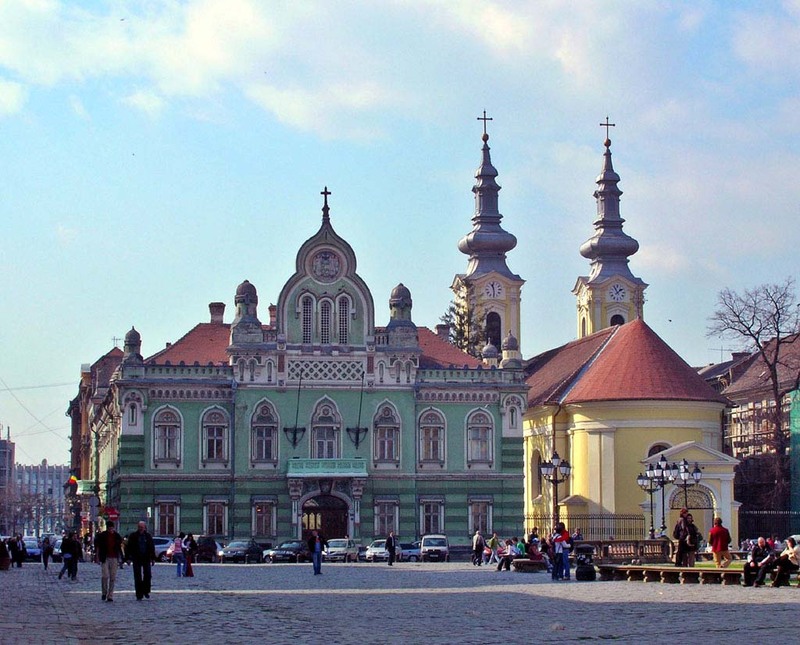 Start your observation of the city from a visit to the central square named Unirii. The square is surrounded by amazingly beautiful medieval buildings. Catholic Cathedral is surely the main decoration of the square. This cathedral was built in the beginning of the 18th century. Its magnificent design in the Baroque style perfectly reflects best traditions of medieval architecture. The local Orthodox Church is located just near the cathedral. Here visitors can see a fine collection of icons. The best example of Gothic architecture is, without a doubt, Hunyad Castle, which is built on a hill. The castle was constructed in the 15th century. For many years it remained the residence of the governor Iancu de Hunedoara. In 1854 the castle was badly damaged by fire, but later it was restored. Nowadays the halls of the castle store the collection of Museum of the Banat Province. This is the oldest museum in Romania. Here you will find collections of historical artifacts and art objects. Some halls of the museum are devoted to natural history and ethnography.